It doesn't get better than Kenmare Bay Hotel if you enjoy driving along coastal roads with some of Ireland's most stunning scenery right outside our front door, you will never run out of options. 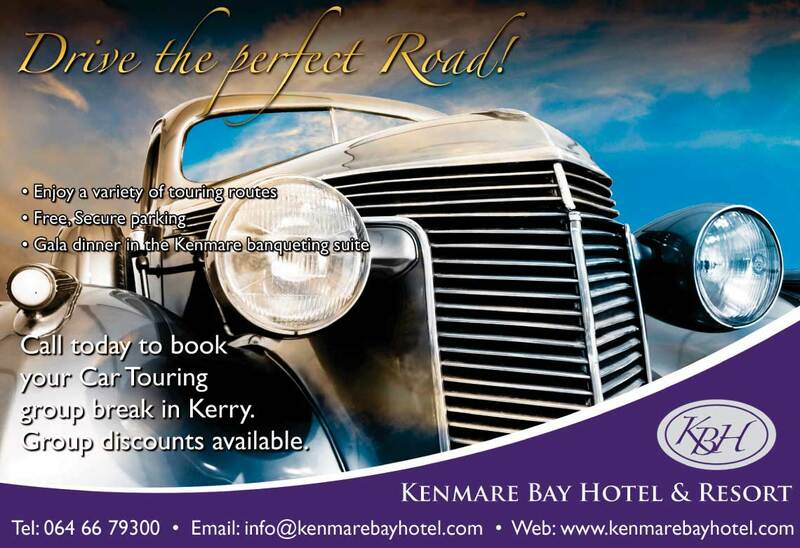 Perfectly located on the famous Ring of Kerry, a 179km long circular scenic touring route, makes the Kenmare Bay Hotel the ideal starting point for various car touring trips. Off the main route, enjoy shorter scenic drives. 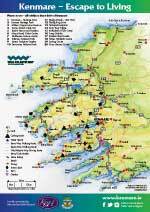 Popular villages and attractions along the Ring of Kerry include Sneem, Derrynane House, Skellig experience, Waterville, Valentia island and in Killarney visit Muckross House & Gardens, Ross Castle and the Lakes of Killarney, all within the Killarney National Park. We have a secure off street parking available and can arrange Gala dinners and events for larger groups. The homely welcome and deep comfort of the Kenmare Bay Hotel mean you can rest and refresh yourself after a day's touring. Kenmare is ideally located on the Ring of Kerry, the Wild Atlantic Way, the Beara peninsula and within easy reach of Killarney National Park. Ask today about options for your group.